The entire gaming industry seems to be anxiously awaiting the impending announcement of the Playstation 4 tonight in New York. But what’s a system without great games? While it has been made clear that Battlefield 4 will be receiving a beta this year, fans of the series are starting to look for footage or information on the next title in the series. Thanks to an image that hit the internet today, it appears that Battlefield 4 will receive a proper reveal of some sort at Sony’s event. 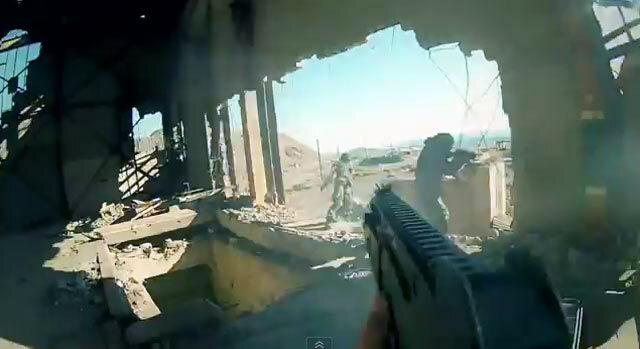 The image looks of the same art style that we saw in Battlefield 3, especially the cover of the game. Battlefield 4 has been rumored as being next-gen, but is expected to still see a release on the Xbox 360, PS3, and PC as well. There’s still the possibility that this could be showcasing the current Battlefield title or even Bad Company 3, but a recent tweet by Gamestop’s CEO exclaimed that he saw the game and was very impressed. Do you expect to see DICE & EA showcase Battlefield 4 tonight? Be sure to let us know what you think by leaving us a comment below, or discuss Battlefield 4 in our forums.